PORTAL table lamp is a new offering from Melbourne-based architectural lighting designer Christopher Boots, and is the first ready-made fixture within the collection. Handcrafted from Solid Brass, White Carrara Marble and Opal Acrylic, PORTAL table lamp mixes classical and contemporary materials with the latest LED technology. 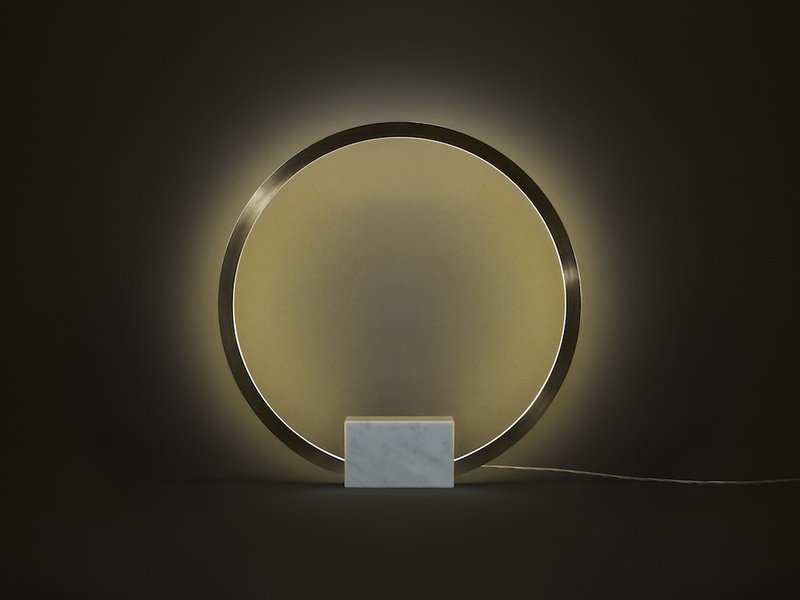 Emanating light from an internal 600mm diameter ring, PORTAL table lamp features temperature changing LED, to easily shift from warm white to cool white hues – pleasing lovers of the colour spectrum. Exploring themes of classical proportion, materiality and form, PORTAL table lamp is designed to sit on a surface or it can be freed of its polished marble base and displayed on a wall. Alternatively it can be produced as a pendant. PORTAL Table Lamp is priced at $1950 AUD, and is available exclusively through Christopher Boots on pre-order for April delivery. Christopher Boots’ Fitzroy lighting design studio offers bespoke lighting art. Driven by a love of nature and light, expressed through designing and creating beautiful, unique lighting, Boots’ work is both raw and elegant, brutal yet refined, made of primal shapes that evoke some of the most direct human expressions.